Home > Monitoring & Control > How can I Control what my Child uses a Computer for? Computers have changed the way we work, the way we learn and the way we interact with others. Studies have shown that computing can deliver real educational advantages for our children, as well as developmental benefits such as improved problem solving skills. But as with any technology a computer is only as good as the software it’s using, and the educational benefits do largely depend on how the computer is used. So how do you make the most of your child’s computer time? Whatever ground rules you set for your child’s computer use the simplest and most effective way to monitor and control how they’re spending their time is to put the computer in a communal area in the house. If they have a computer in their room you lose much of that control and will have to take it on trust that they are doing their homework and not playing games or chatting with friends. Increasingly children are using computers for their homework, both for research and to improve presentation. Getting to grips with computer skills such as word processing and powerpoint, and honing research skills on the internet will prepare children well for the world of work in later life. Unfortunately schools have reported a massive increase in plagiarism cases in recent years with children copy and pasting content from the internet and presenting it as their own work. Be aware of the dangers of your child relying too heavily on the internet for their coursework, and talk to them about the importance of handing in their own work. Computer games have got a bad reputation, and in some cases deservedly so, but not all games are bad, and playing games isn’t necessarily bad for your child. Any child playing computer games for hours on end is going to miss out on other activities and might end up with a gaming-addiction. If you limit the time your child spends on the computer you can safely let them spend some of that time playing games. The internet has sites dedicated to every possible interest under the sun, and provides access to an incredible range of information but much of this is inappropriate for children. 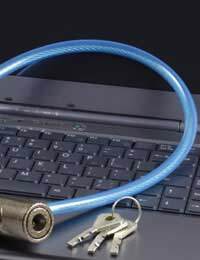 There are many internet security software packages on the market that can deliver a level of control and give you some peace of mind but these are not infallible and a computer savvy child will soon learn how to disable a gatekeeper they find restrictive. Many schools now have computers for students, and your child will no doubt have friends’ with computers so be aware that while you can monitor their computer use at home there will be many occasions when you aren’t present. School equipment will be fairly safe with controls in place to protect both the computer and the under-age users but there will be times when your child might have access to inappropriate games or sites with content of a violent or sexual nature. You can’t control all their computer experiences but you can maintain an ongoing dialogue about what they see, and do on the computer, and how that makes them feel.